Windows 10 Always On VPN and DirectAccess both provide seamless, transparent, always on remote network access for Windows clients. However, Always On VPN is provisioned to the user, not the machine as it is with DirectAccess. This presents a challenge for deployment scenarios that require the VPN connection to be established before the user logs on. To address this issue, Microsoft introduced support for a device tunnel configuration option beginning with Windows 10 version 1709 (Fall creators update). Want to learn more about Windows 10 Always On VPN? Register for one of my hands-on training classes now forming in cities across the U.S. Details here. To support an Always On VPN device tunnel, the client computer must be running Windows 10 Enterprise or Education version 1709 (Fall creators update). It must also be domain-joined and have a computer certificate with the Client Authentication Enhanced Key Usage (EKU) issued by the organization’s Public Key Infrastructure (PKI). In addition, only the built-in Windows VPN client is supported for Always On VPN device tunnel. Although Windows 10 Always On VPN user connections can be configured using various third-party VPN clients, they are not supported for use with the device tunnel. The Always On VPN device tunnel is provisioned using an XML file. You can download a sample VPN ProfileXML file here. Make any changes required for your environment such as VPN server hostnames, routes, traffic filters, and remote address ranges. Optionally include the trusted network detection code, if required. Do not change the protocol type or authentication methods, as these are required. Once the ProfileXML file is created, it can be deployed using Intune, System Center Configuration Manager (SCCM), or PowerShell. In this post I’ll cover how to configure Windows 10 Always On VPN device tunnel using PowerShell. Download the PowerShell script located here and then copy it to the target client computer. The Always On VPN device tunnel must be configured in the context of the local system account. To accomplish this, it will be necessary to use PsExec, one of the PsTools included in the Sysinternals suite of utilities. Download PsExec here, copy it to the target machine, and then run the following command in an elevated PowerShell command window. Another elevated PowerShell window will open, this one now running in the context of the local system account. In this window, navigate to the folder where you copied the PowerShell script and XML file to. Run the PowerShell script and specify the name of the ProfileXML file, as shown below. To verify creation of the VPN device tunnel, run the following PowerShell command. Note: Be advised that the ConnectionStatus is always Disconnected. Hopefully this will be addressed by Microsoft in the near future. If you are using Windows Server 2012 R2 or Windows Server 2016 Routing and Remote Access Service (RRAS) as your VPN server, you must enable machine certificate authentication for VPN connections and define a root certification authority for which incoming VPN connections will be authenticated with. To do this, open an elevated PowerShell command and run the following commands. Once the Always On VPN device tunnel is configured, the client computer will automatically establish the connection as soon as an active Internet connection is detected. This will enable remote logins for users without cached credentials, and allow administrators to remotely manage Always On VPN clients without requiring a user to be logged on at the time. You may encounter a scenario in which Outlook on Windows 10 reports that it is working offline while connected remotely via DirectAccess. The Network Connectivity Status Indicator (NCSI) shows DirectAccess is in a connected state and all other internal resources are accessible. This is caused by the default settings of the IP-HTTPS tunnel interface on the DirectAccess server not advertising a default route for connected DirectAccess clients. To resolve this issue, enable default route advertising for IP-HTTPS on each DirectAccess server in the enterprise by running the following PowerShell command. In the past I’ve heard reports of this setting being overwritten after group policy refresh. Recent testing on Windows Server 2016 does not show this behavior, however. Please report any results you may have in the comments below. Thanks! PowerShell is an important skill for administrators supporting Microsoft workloads including DirectAccess and Always On VPN. Using PowerShell to install required roles and features is much simpler and quicker than using the Graphical User Interface (GUI), with only a single command required to accomplish this task. Some settings aren’t exposed in the GUI and can only be configured using PowerShell. In addition, PowerShell makes the task of troubleshooting DirectAccess and Always On VPN much easier. One of the best resources for learning PowerShell is the book Learn PowerShell in a Month of Lunches authored by Microsoft MVPs and recognized PowerShell experts Don Jones and Jeff Hicks. This book, now in its third edition, should be considered essential reading for all Microsoft administrators. Click here for more details. Recently Don and Jeff released a new book entitled Learn PowerShell Scripting in a Month of Lunches. This new book builds upon the skills learned in their first title by focusing on the development of PowerShell scripts to automate many common administrative tasks. PowerShell scripts can also be used to build custom, reusable tools to more effectively manage and monitor Microsoft workloads. Click here for more details. In my experience, far too many administrators today lack crucial PowerShell abilities. Don’t get left behind! PowerShell is rapidly becoming a required skill, so get these books and start learning PowerShell today! As I’ve written about previously, Microsoft is no longer investing in DirectAccess going forward. There will be no new features or functionality added to the product in the future. Microsoft is now investing in Always On VPN in Windows 10, with new features being released with each semi-annual update of the operating system. But as Microsoft continues to make the push toward Always On VPN over DirectAccess, many administrators have asked about the ramifications of this shift in focus for enterprise remote access. Here are a few points to consider. It’s the same thing, only different. Always On VPN provides the same seamless, transparent, always on experience as DirectAccess. Under the covers, the mechanics of how that’s accomplished changes a bit, but fundamentally the user experience is exactly the same. Once a user logs on to their device, a VPN connection is established automatically and the user will have secure remote access to corporate resources. The connection is still secure. Where DirectAccess uses IPsec and Connection Security Rules (CSRs) to establish its secure tunnels, Always On VPN uses traditional client-based VPN protocols such as IKEv2, SSTP, L2TP, and PPTP. Both DirectAccess and Always On VPN use certificates for authentication. However, where DirectAccess uses machine certificates to authenticate the computer, Always On VPN leverages user certificates to authenticate the user. Provisioning and managing clients is different. The administrative experience for Always On VPN is much different than it is with DirectAccess. Where DirectAccess made use of Active Directory and group policy for managing client and server settings, Always On VPN clients must be provisioned using a Mobile Device Management (MDM) solution such as Microsoft Intune, or any third-party MDM platform. Optionally, Always On VPN clients can be provisioned using Microsoft System Center Configuration Manager (SCCM), or manually using PowerShell. Always On VPN has the potential to provide much more security and protection than DirectAccess. Always On VPN supports traffic filtering, allowing administrators to restrict remote client communication by IP address, protocol, port, or application. By contrast, DirectAccess allows full access to the internal network after user logon with no native capability to restrict access. In addition, Always On VPN supports integration with Azure Active Directory, which enables conditional access and multifactor authentication scenarios. It’s built for the future. Always On VPN also provides support for modern authentication mechanisms like Windows Hello for Business. In addition, Windows Information Protection (WIP) integration is supported to provide essential protection for enterprise data. Microsoft set the bar pretty high with DirectAccess. Users love the seamless and transparent access it provides, and administrators reap the benefit of improved systems management for field based devices. Always On VPN provides those same benefits, with additional improvements in security and protection. If you’d like more information about Always On VPN, fill out the form below and I’ll get in touch with you. Learn more about NetMotion Mobility by registering for my free live webinar here! As I outlined in a recent blog post, there has been much speculation surrounding the end of life for Microsoft DirectAccess. This is not surprising, as Microsoft has not made any investments in DirectAccess since the introduction of Windows Server 2012. Recently, Microsoft began promoting its Always On VPN solution as an alternative for DirectAccess. While DirectAccess has not been formally deprecated, Microsoft is actively encouraging organizations considering DirectAccess to deploy Always On VPN instead, as indicated here. 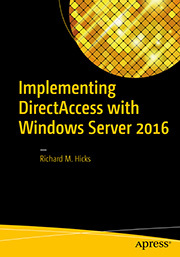 It’s important to state that, at the time of this writing, DirectAccess is still fully supported in Windows 10 and Windows Server 2016 and will be for quite some time. However, the future for DirectAccess is definitely limited, and customers should start considering alternative remote access solutions. Microsoft is positioning Always On VPN as the replacement for DirectAccess. 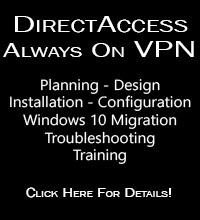 Always On VPN offers some important new capabilities missing from DirectAccess. For example, Always On VPN supports all Windows 10 client SKUs, not just Enterprise and Education as DirectAccess does. Always On VPN includes important security enhancements such as conditional access with system health checks, access control list (ACL) enforcement per device and per application, and more. But Always On VPN has some serious limitations too. For example, Always On VPN works only with Windows 10. Windows 7 is not supported at all. Managing and supporting Always On VPN has its own challenges. It cannot be managed using Active Directory and group policy in the traditional way. You must use System Center Configuration Manager (SCCM), Intune, or PowerShell to configure and manage VPN clients. I’m excited to announce I’ve recently partnered with NetMotion to provide their secure remote access solutions to organizations looking for alternatives to DirectAccess and Always On VPN. NetMotion Mobility provides the same seamless and transparent, always on remote access with some additional important features not included in DirectAccess and Always On VPN. Broad Client Support – NetMotion Mobility can provide DirectAccess-like remote access for all versions and SKUs of Windows as well as Mac, iOS (iPhone and iPad), and Android. Enhanced Security – NetMotion Mobility includes fine-grained policy enforcement to restrict network access based on a wide range of parameters including IP address, protocol, port, application, time of day, location, and type of network (e.g. wired, Wi-Fi, wireless, etc.). NetMotion Mobility also includes integrated Network Access Control (NAC) to validate device configuration prior to connecting, ensuring the highest level of security for remote endpoints. More details here and here. Improved Performance – NetMotion Mobility client to server communication is optimized to improve reliability and performance. Network traffic is compressed and prioritized to ensure optimum performance for critical applications. Session persistence allows mobile workers to remain connected during times of poor connectivity or when roaming between different networks. More details here. 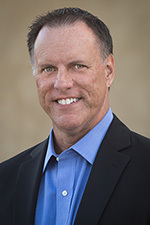 Greater Visibility – NetMotion Mobility provides a wealth of detailed information to perform analysis and troubleshooting for remote connections. Performance and diagnostic information is logged in real-time and provides administrators with crucial data and insight to quickly identify and resolve connectivity issues. More details here. Better Supportability – NetMotion Mobility is supported by dedicated, highly trained support engineers with deep product experience. NetMotion support is not tiered. The support engineer who answers the phone will handle the case until resolution. NetMotion Mobility is a truly comprehensive remote access solution and an excellent alternative to DirectAccess. To learn more about NetMotion Mobility and to see it in action, fill out the form below and I’ll get in touch with you. You can also register for my upcoming free live webinar here. By default, DirectAccess is configured to use split tunneling. In this scenario, a remote DirectAccess client is connected to the internal corporate network and the public Internet at the same time. Some security administrators perceive split tunneling as a security risk, and the use of split tunneling may be prohibited by corporate security policy. In addition, enforcing web browsing policies on remote DirectAccess clients might be desired to reduce the risk of exposure from browsing unapproved web sites. In either case, force tunneling can be configured to meet these requirements. When force tunneling is enabled, DirectAccess administrators can also define an on-premises proxy server for DirectAccess clients to use. The following is guidance for enabling force tunneling and configuring DirectAccess clients to use a proxy server to access the Internet. To enable force tunneling, open the Remote Access Management console and perform the following steps. Expand Configuration and select DirectAccess and VPN. Click Edit on Step 1 Remote Clients. Click Select Groups in the navigation tree. Select the option to Use force tunneling. Figure 1. Enable DirectAccess force tunneling in the Remote Access Management console. Alternatively, force tunneling can quickly be enabled by opening an elevated PowerShell command window and running the following command. Figure 2. Enable DirectAccess force tunneling using PowerShell. Once force tunneling has been enabled, run the following PowerShell script to configure an on-premises proxy server for DirectAccess clients to use. Be sure to substitute the fully-qualified domain name (FQDN) and port for your proxy server in the $proxy variable below. If multisite is enabled and Windows 7 clients are supported, run the following PowerShell script on one DirectAccess server in each entry point. Run the following PowerShell script to remove the proxy server, if necessary. To disable force tunneling completely, run the following PowerShell command. When force tunneling is enabled, the user experience is typically poor when accessing the Internet. Web browsing performance is significantly reduced because of the added protocol overhead imposed by DirectAccess IPv6 transition technologies and IPsec encryption. This problem is further compounded when users access resources that are already encrypted, such as secure web sites. Increased packet fragmentation, along with the additional network latency caused by suboptimal network paths and increased network load on the server and Internet connection all contribute to degraded network performance for DirectAccess clients. Instead of enabling force tunneling, consider alternative solutions to address the security concerns associated with split tunneling. For example, implement technologies that enforce web browsing policies on the client. Many secure web gateways and next-generation firewalls (NGFW) have remote filtering capabilities that allow administrators to enforce web browsing policies on remote client machines. In addition, there are some excellent cloud-based solutions such as Zscaler and OpenDNS that can protect DirectAccess clients without the drawbacks associated with force tunneling. Native PowerShell commands in Windows 10 make DirectAccess troubleshooting much easier than older operating systems like Windows 7. For example, with one PowerShell command an administrator can quickly determine if a DirectAccess client has received the DirectAccess client settings policy. In addition, PowerShell can be used to view the status of the connection and retrieve additional information or error codes that can be helpful for determining the cause of a failed connection. 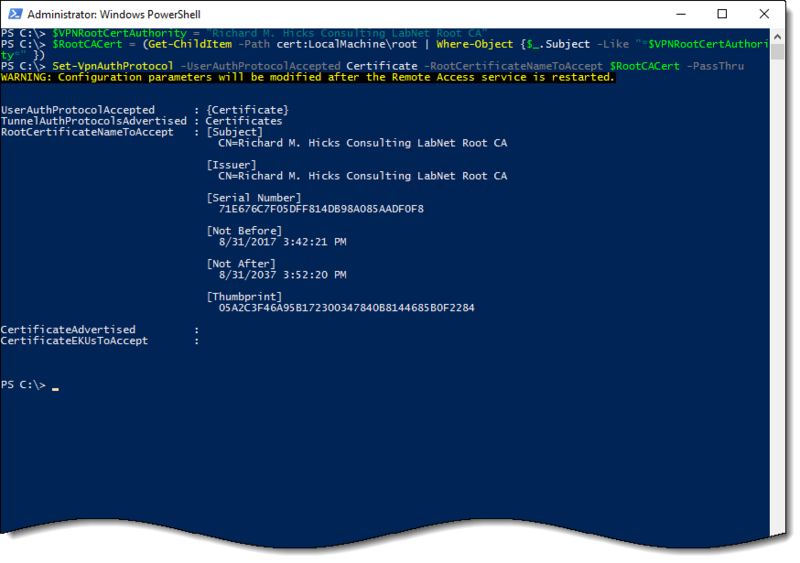 Further, PowerShell can also be used to review configuration details and perform other troubleshooting and connectivity validation tasks. Here are my top 5 PowerShell commands for troubleshooting DirectAccess on Windows 10. 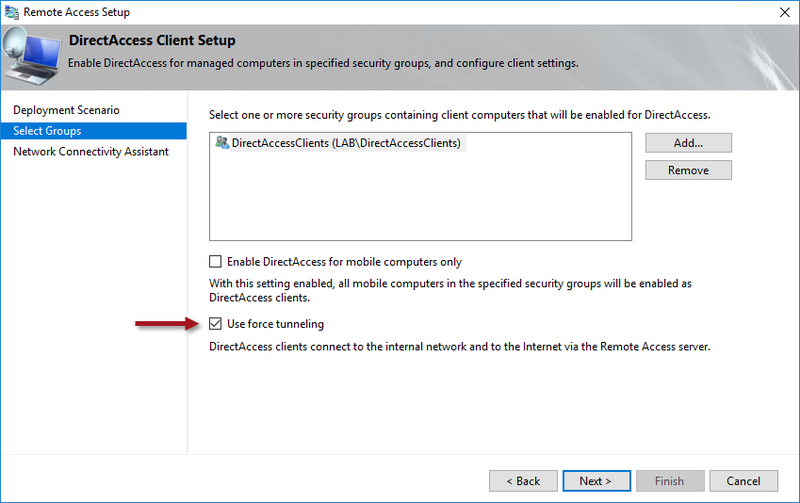 Ensuring that the DirectAccess Client Settings group policy has been applied to the client is one of the first steps in troubleshooting failed DirectAccess connections. While it is possible to use gpresult to do this, using the Get-DAClientExperienceConfiguration PowerShell command is much simpler. 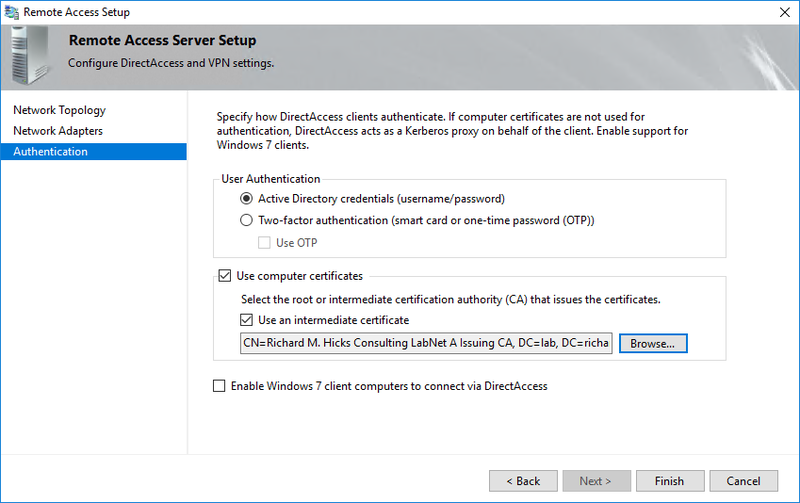 If DirectAccess client settings have been applied, the output of the command will include information such as the IPsec tunnel endpoint IPv6 addresses and the Network Connectivity Assistant (NCA) corporate resource URL. If DirectAccess client settings have not been applied, this information will be missing. Figure 1. DirectAccess Client Settings group policy successfully applied. Figure 2. DirectAccess Client Settings group policy not applied. Performance improvements first introduced in Windows 8 have made IP-HTTPS the IPv6 transition technology of choice when it comes to supporting DirectAccess client connectivity. Also, if the DirectAccess server is located behind an edge device performing Network Address Translation (NAT), IP-HTTPS is the only supported transition technology. Using the Get-NetIPHttpsState PowerShell command, the DirectAccess administrator can quickly determine if the IP-HTTPS connection was successful. If it was not, the command will return an error code and interface status that will indicate why the IP-HTTPS connection was unsuccessful. When troubleshooting IP-HTTPS connection failures, it is necessary to obtain additional information to continue the troubleshooting process. Using the Get-NetIPHttpsConfiguration PowerShell command, the DirectAccess administrator can obtain the public hostname for the DirectAccess server and ensure that the name resolves to the correct IP address in DNS and that it is reachable on TCP port 443. Using the Resolve-DnsName PowerShell command is crucial when performing any name resolution tasks on the DirectAccess client. This is because Resolve-DnsName is aware of the Name Resolution Policy Table (NRPT) and will direct name resolution requests accordingly. Tools like nslookup are DNS server testing tools and are unaware of the NRPT. Typically they do not yield expected results when testing name resolution on a DirectAccess client. Figure 5. Name resolution results from Resolve-DnsName and nslookup. Often the cause of DirectAccess client connectivity issues is a misconfigured NRPT. Using the Get-DnsClientNrptPolicy PowerShell command the DirectAccess administrator can validate that name resolution requests for host names in any internal namespaces are being sent to the DirectAccess DNS64 IPv6 address. The seamless and transparent nature of DirectAccess makes it wonderfully easy to use. In most cases, it requires no user interaction at all to access internal corporate resources while away from the office. This enables users to be more productive. At the same time, it offers important connectivity benefits for IT administrators and systems management engineers as well. DirectAccess clients are automatically connected to the corporate network any time they have a working Internet connection. Having consistent corporate network connectivity means they receive Active Directory group policy updates on a regular basis, just as on-premises systems do. Importantly, they check in with internal management systems such as System Center Configuration Manager (SCCM) and Windows Server Update Services (WSUS) servers, enabling them to receive updates in a timely manner. Thus, DirectAccess clients are better managed, allowing administrators to more effectively maintain the configuration state and security posture for all their managed systems, including those that are predominantly field-based. This is especially crucial considering the prevalence WannaCry, Cryptolocker, and a variety of other types of ransomware. When manage out is configured with DirectAccess, hosts on the internal network can initiate connections outbound to remote connected DirectAccess clients. SCCM Remote Control and Remote Desktop Connection (RDC) are commonly used to remotely connect to systems for troubleshooting and support. With DirectAccess manage out enabled, these and other popular administrative tools such as VNC, Windows Remote Assistance, and PowerShell remoting can also be used to manage remote DirectAccess clients in the field. In addition, enabling manage out allows for the proactive installation of agents and other software on remote clients, such as the SCCM and System Center Operation Manager (SCOM) agents, third-party management agents, antivirus and antimalware software, and more. A user does not have to be logged on to their machine for manage out to work. DirectAccess manage out requires that connections initiated by machines on the internal network to remote-connected DirectAccess clients must be made using IPv6. This is because DirectAccess clients use IPv6 exclusively to connect to the DirectAccess server. To enable connectivity over the public IPv4 Internet, clients use IPv6 transition technologies (6to4, Teredo, IP-HTTPS), and IPv6 translation components on the server (DNS64 and NAT64) enable clients to communicate with internal IPv4 resources. However, DNS64 and NAT64 only translate IPv6 to IPv4 inbound. They do not work in reverse. It is recommended that IPv6 be deployed on the internal network to enable DirectAccess manage out. This is not a trivial task, and many organizations can’t justify the deployment for just this one specific use case. As an alternative, IPv6 can be configured with an IPv6 transition technology, specifically the Intrasite Automatic Tunnel Addressing Protocol (ISATAP). ISATAP functions as an IPv6 overlay network, allowing internal hosts to obtain IPv6 addresses and routing information from an ISATAP router to support manage out for DirectAccess clients. When DirectAccess is installed, the server is automatically configured as an ISATAP router. Guidance for configuring ISATAP clients can be found here. Using ISATAP can be an effective approach to enabling DirectAccess manage out for SCCM when native IPv6 is not available, but it is not without its drawbacks. 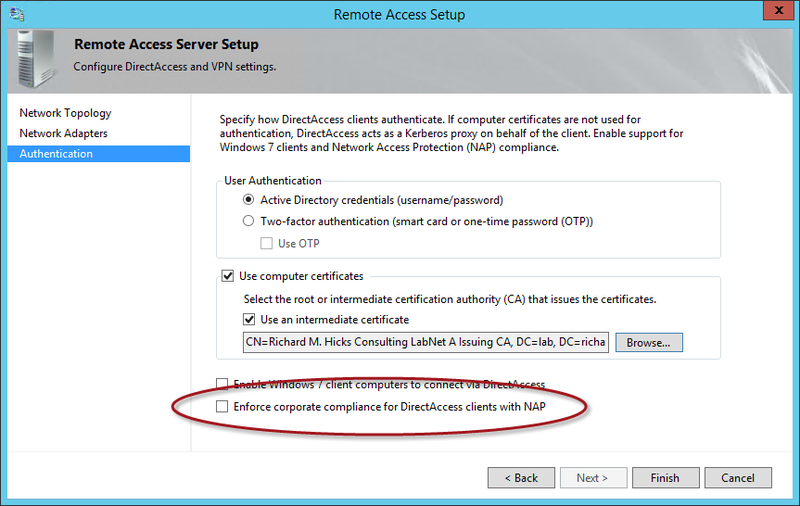 • Using the DirectAccess server for ISATAP is only supported with single server DirectAccess deployments. • Using the DirectAccess server for ISATAP does work when using Network Load Balancing (NLB) with some additional configuration, but it is not supported. • Using the DirectAccess server for ISATAP does not work when an external load balancer is used, or if multisite is enabled. It is technically possible to enable DirectAccess manage out for SCCM using ISATAP in load-balanced and multisite DirectAccess deployments, however. It involves deploying a separate ISATAP router and some custom configuration, but once in place it works perfectly. I offer this service to my customers as part of a consulting engagement. If you’re interested in restoring DirectAccess manage out functionality to support SCCM remote control, RDC, or VNC in load-balanced or multisite DirectAccess deployments, fill out the form below and I’ll provide you with more information.